Each time the flight lands and takes off from my hometown, my eyes are moist. Memories and emotions flood my mind. Friends, teachers and others who were such an integral part of life then but are no longer a part of my life now, run through my mind making me realize the importance of fleeting time. I had an excellent and much needed break and my baby and me were pampered to the core by my parents. My mother and her staff took such good care that I felt it was a long holiday at a resort with the added comfort of family, the only downside being the absence of Ro. My baby had a great time bonding with his grandparents and it was so much fun to see him get excited about exploring new things around him. I have come to realize and cherish the wonderful personality of my mother more after I became a mother myself. And I realize even more now that there is much I need to learn and imbibe from her. Maybe I should thank my son for this aspect of my life. Her wonderful personality and charming demeanour ensures that she has many friends and acquaintances from all walks of life. She is perfectly at ease talking to a visiting dignitary as she is discussing the comforts with a manual worker at the factory. What is most interesting to me is how she finds time and interest to manage so many aspects of her life. She looks after the human resources in my fathers business. Finds time for philanthropic activities and is always ready to help someone in need. A phone call away from her friends. A great cook, many of her recipes being featured here and almost always has fresh home cooked meals available to her family and to anyone who visits them. 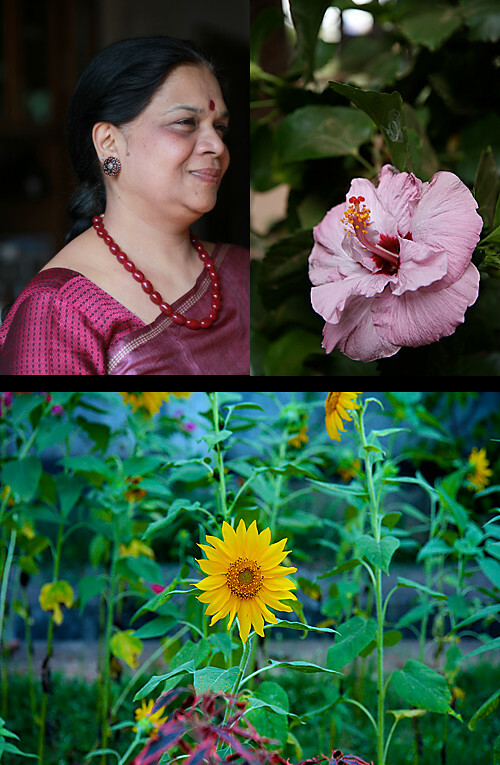 Her sunny disposition is akin to the sunflowers in her garden. 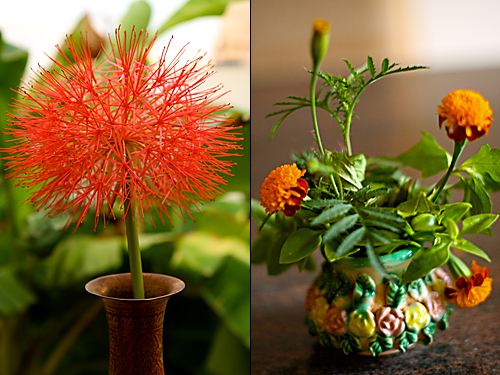 The flowers in her vases are always fresh and always from her garden. Even the vases in the bathrooms are never without her fresh flowers. 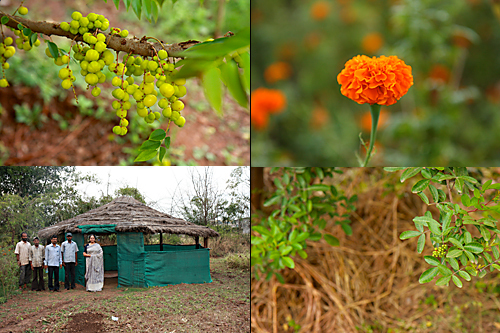 And her garden boasts of not just flowers but vegetables like Sweet Potato, fresh Greens, fruits like Sapota, Custard apple, Guava and Papaya and spices like Pink Pepper and Chilli. There was another highlight during this visit of mine at my parents. First the arrival of my gorgeous sister, then my marvelous brother-in-law. They were away to study for a year and it was a happy re union. And my toddler totally basked in the attention given by them. My sister and me spent a few days together, catching up and visiting some of our favourite spots in the city we grew up. Although we still argue a lot, maybe even fight at times (phew! ), they have drastically reduced and the bond between us has only become stronger and I cherish and feel grateful for such an amazing sister. I find that the things which irritate me the most when she is around are the things that I also miss in her absence. She still finds great joy in using my things and although her mac book pro would be lying inches away from mine, she finds it necessary to use mine. Which means that I have to keep logging into my gmail and facebook and logging out of her account each time I use my computer. Despite all these years and despite marraige she hasnt changed a bit and thank god for that! I made these tarts as a send off treat for my dear folks as they left before us. We had fun eating these on the lawn. The first bite had them hooked and I myself had not imagined how delicious this would be when I had concocted the flavours. This is probably one of the longest recipes I have written and I’m definitely not saying that these are a breeze to make. It is not exactly difficult but a bit laborious. If I’m short on time I would prefer to make one large pie crust instead of individual tartlets. Although very delightful and endearing, tartlet shells require attention, many steps and time which can be tough with a toddler on hand. 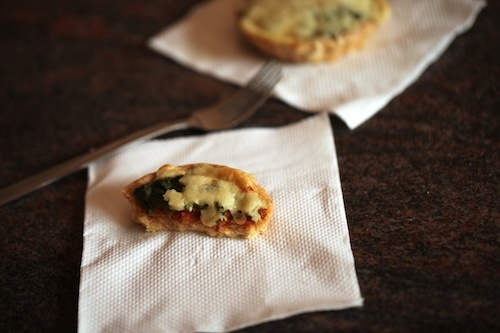 But one bite of the buttery and flaky crust and the burst of flavours from the tomatoes, basil and cheese makes it all worthwhile. This is easily one of my tastiest creations. These tartlets have the most amazing texture and taste. I have used white poppy seeds but you could easily substitute it with blue poppy seeds. Sundried tomatoes in oil (with the oil drained) can be substituted for the prepared tomatoes here. Cut the butter into cubes and place in the refrigerator or freezer if your butter is a bit warm. We need absolutely cold cut butter. In a large bowl, sift in the flour and mix in the salt and poppy seeds. Using a pastry blender or your finger tips, rub the cold cut butter into the flour until the mixture resembles fine bread crumbs. Pour in the milk and mix with your hands until the mixture comes together and forms a ball. Do not knead or mix the dough any more. You need to see the tiny pieces of butter in the flour which is absolutely essential to get a flaky crust. Wrap the ball of dough in some aluminium foil and chill for a few hours, at the least a couple of hours. Brush the base and up the sides of the tartlet tins with some melted butter. Divide the chilled dough into 6 equal parts. On a lightly floured surface, roll the dough into a circle, approximately 12 cm in diameter. Place the rolled dough into the greased tins. Gently press the sides with your fingers to get even edges. Repeat for the remaining 5 pastries. Chill the tartlet cases for atleast 30 minutes. Preheat the oven to 170 degree centigrade/ Gas mark 3. 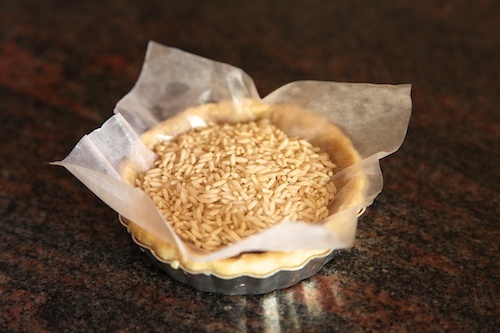 Line the base and sides of all the tartlet tins with greaseproof paper and fill them with baking beans or rice (can be reused) and bake blind for 20 minutes. Remove the paper and beans or rice and bake again for 10 to 15 minutes until golden brown. (Depending on your oven this could even take 20 minutes). Allow to cool. In a medium sized sauce pan, place the tomatoes, olive oil, pepper and salt and cook on a medium flame until all the juices of the tomatoes have disappeared, stirring in between to prevent scorching. In a food processor or blender, place the basil leaves, 2 tbsp cheddar or parmesan cheese, salt and almonds with a little water and process until you get a mixture which is not very smooth. Place this mixture in a bowl, put in the olive oil and mix until well blended. Preheat your oven to 180 degree centigrade/ Gas mark 4. Sprinkle some quick cooking rolled oats over the cooled tartlets. This will absorb moisture from the tomatoes. Place the Tomatoes carefully over it. Spoon the Basil Almond Pesto over the tomatoes. Put in the grated cheese and bake in the centre of the oven for about 8 to 10 minutes until the cheese completely melts over. When the tartlets are cool enough to handle, carefully unmould them and serve warm or at room temperature. You have a beautiful family ! 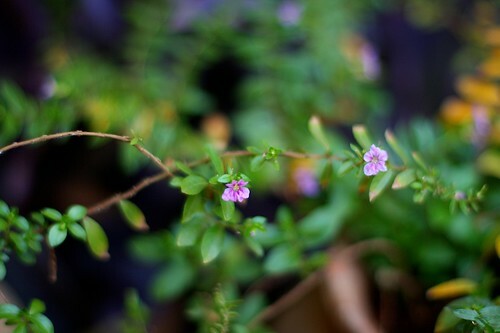 and love all the pictures of the flowers here. 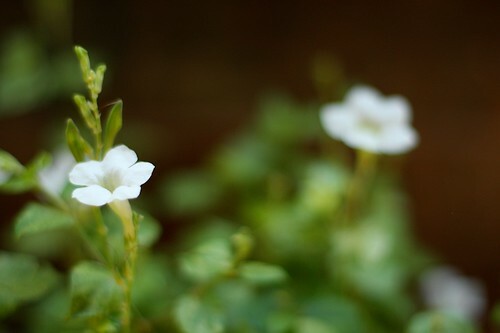 Flowers and greenery are my favorite photography subject! And I can taste those tartlets just from the ingredients! Great Job! Wow, I enjoyed reading about your mother.. reminded me of my own.. how much patience they have and how devoted they are.. my mother is very much like yours..missing her a lot! Such a lovely post. It was really great to read about your mom and your sister (they're both beautiful by the way). Sounds like you've been truly blessed! Kulsum: I'm indeed blessed. Touch wood! Archana: Mothers are those special irreplacable entities in our lives. Arent they? Loved reading your post. It's so sweet and heartfelt. I haven't really stayed away from family much, so I can't relate, but I can imagine how it would be! I loved this post! 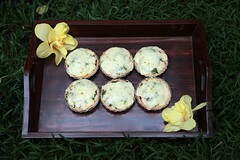 Beautiful tartlets, and it was great to hear about your trip. Just what I had been waiting for. What a post it is- not just cos am featured 😛 also cos it reminds of the awesome taste. And talking about fights- I can start one right here- u have given me reason to 😛 – these were made for your dear bil and not me. Nevertheless thanks to him, I got to taste them- and they were DELICIOUS! Haven't really ventured into kitchen much, but waiting to do so in a couple of weeks. 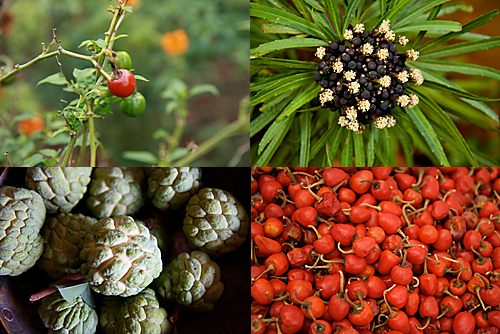 Noted few of the recipies in your site and begin with the easier ones. 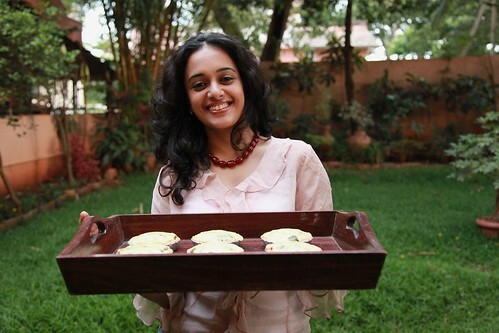 Vanita: Wishing you the very best in your kitchen venture. I adore your website.. Keep up the good work!! I am not sure what takes my breath away the most: your gorgeous family or these stunning surroundings. Beautiful, talented family and a luxurious holiday. And I absolutely love these tartlets. 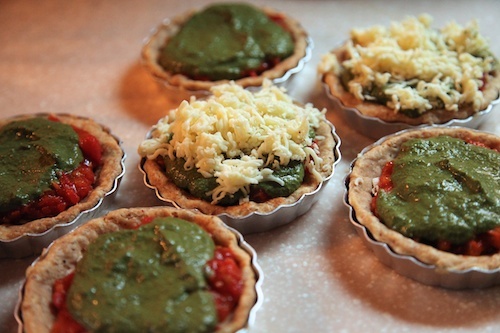 Tomato-cheese-pesto is an unbeatable combo and these tartlets are just lovely! They look absolutely gorgeous. Lovely snack idea on a weekend. I really wanna to try the sweet and the savoury pastries. Since I do not have the required equipments and a good oven for the same, i have everything in my mind and waiting to pour it out. will be executing it ASAP. One query! Is it really required to have a kitchenaid? Nisha: Not at all! Kitchenaid, although useful is not compulsory! Infact you might be surprised to know that although I do have one, I don't use it as much as I should! Food processor, pastry blender or your hands work fine too in the absence of a kitchenaid! Lovely recipe. will give it a try for sure. Is parmesan cheese vegetarian? I think rennet is used to make it. Please clarify on this. Also, ur sister is very beautiful, just like U! Priyanka: Yes, parmesan usually contains rennet and as of now we don't get parmesan made with microbial rennet which is suitable for vegetarians easily and especially in India. However, it is available in the US. Do you have to use salted or unsalted butter? I made this over the weekend. It looked great but was too salty. I added 1/2 tsp of salt for the tartlets, i tsp for tomatoes and 1/2 for basil pesto. I dont know what went wrong…probably because of cheddar cheese that alreay contains salt? The next time I will tone down the salt both for the pesto and the tomatoes. Divya: this tasted just right even with the salt in the cheddar…don't know what you did wrong. Hi, can I substitute almonds with walnuts or any other ingredients ? taruna: You can use dry almonds. 2 tbsp cheese goes into the pesto and the remaining 200 gm cheese goes into the topping. Hope this helps. Beautiful post nd very nice receipe. Poonam: Yes you can use dried basil, but if you want to use fresh basil then you can buy them at nature's basket outlets. If i want to make a pie out of it, will it work?